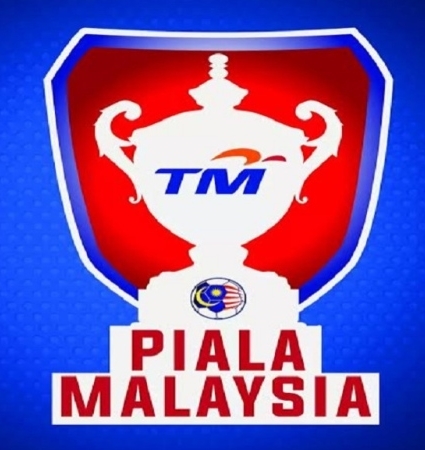 Final match Malaysia cup today on 27 October 2018. This match held at stadium Shah Alam Selangor. Perak vs terengganu today at 8:45pm. Perak move to final after win 7-2 aggregate against Sabah, while Terengganu win aggregate 3-2 against JDT. Based on paper, looks terengganu have an advantage. But in football, impossible is nothing. Journey Malaysia quarter final 2018. Perak and Terengganu before move to final. 10 record previous match Terengganu Piala Malaysia. 6 dari perlawanan menang, 2 kali seri dan 2 kali kalah. 10 record previous match Perak Piala Malaysia. 5 kali menang, seri 3 kali, 2 kali tewas. Both this team 22 times lost, perak draw three times, and terenggnanu 2 times draw. Total win more terengganu 1 wins rather than perak. But in this situation, still 50-50 either perak or terengganu will be win t his malaysia cup 2018. Terengganu 5 times win, Perak 4 times win. Draw 1 game only. Terengany vs Perak already meet in tin final malaysia cup in 2008,10 years ago. At this time, Tun mahadthir is Prime Minister. What a conceive. Live streaming sabah vs perak . JDT just eliminted in malaysia cup to move final after lost to terengganu with aggregate 2-3. So now terengganu are waiting either perak or sabah in final malaysia cup 2018. All the best both this team. LIVE STREAMING SABAH VS PERAK MALAYSIA CUP 21 OCTOBER 2018. Second leg match today on malaysia cup semi final at stadium Larkin Johor Bahru. Aggregate jdt 0-1 terengganu on first leg at stadium sultan ismail nasaruddin shah, kuala terengganu last two weeks. Catch the match between Johor Darul Ta’zim and Terengganu FC in the unifi Piala Malaysia 2018 semi-finals second leg this Saturday, 20 October 2018. The match will take place at the Tan Sri Dato’ Haji Hassan Yunos Stadium, Larkin at 9.00 pm. Let’s show your passion and support as Southern Tigers fans. The final match of the 2018 season at the Tan Sri Dato’ Haji Hassan Yunos Stadium is a not-to-be-missed moment for Johor Darul Ta’zim FC (JDT) diehard fans. Not only will JDT welcome Terengganu’s challenge for a spot in the Malaysia Cup final, which promises to provide football viewing satisfaction, but several events have been planned to improve the experience at the stadium. The management has planned several events and activities as a gesture of appreciation for all fans. A mini carnival will be held for two days for families to spend time together, while ticket counters open at 9am. Besides the mini carnival, fans can also take part in tournaments such as 3 vs 3 futsal, ball juggling, target shooting, and PS4 console matches with attractive prizes awaiting winners of those tournaments on 19 October. The mini carnival will also feature busking performances and activities hosted by Best FM hosts. Without a doubt, these activities have been carefully planned with consideration for families. Let’s all enliven the mini carnival. Come to the stadium whether you are a season pass holder or a first-timer buying a ticket. Let’s have fun with your family members before the real entertainment begins at 9.00pm sharp on 20 October 2018. Luaskan Kuasamu Johor. Johor Darul Ta’zim FC (JDT) will be organising a JDT Mini Carnival for two days on 19 & 20 October 2018 ahead of an unifi Piala Malaysia 2018 semi-final second leg match between Johor Darul Ta’zim and Terengganu FC this Saturday. Fans of both teams are invited to liven up the mini carnival. The mini carnival will feature activities such as Futsal 1 vs 1, Soopa Doopa Bolasepak, PS4 FIFA 18, Shoot Tiger, busking performances and interesting activities by Best FM. The two-day event will be held from 3.00pm to 6.00pm in front of Gate C at the stadium. This shows that JDT have their own ways and are in a class of their own when it comes to promoting unity and professionalism through football between both sets of fans. Luaskan Kuasamu Johor. I have great confidence in all our players. I am also confident that they can do their best. Currently the players’ spirits are positive. They have prepared themselves by undergoing training sessions as well as possible to fix all the mistakes made in the past. We want to win this match. We know how the opponents will play when facing us. We can see in the first leg that they did not do much to win the match, but they still managed to win. So we need to remain always focused and not repeat the same mistakes. We also need to maintain our mentality in getting a victory because that’s the important thing. Besides that, we need to maintain our playing style at home. The players are also in very positive spirits. Regarding Fernando Marquez, he has begun training with the team. I feel that he can play in the match and that’s very good for us. Currently only Marcos is having a little problem, but I’m confident that he can recover.